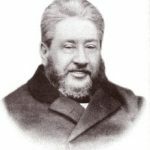 Welcome to the International Spurgeon Website. On this archive you will keep up to date with new Charles Haddon Spurgeon articles. You will find a lot of Spurgeon in English, such as a biography of CH Spurgeon and that of his wife Susannah Thompson. Read remarkable information or look at the beautiful documentary film and imagine yourself in the time of the old England. Read his sermons, discover interesting facts or listen to an old sound recording of his son Thomas that dates back to 1891. Look in the search field for a topic that concerns you. There is a wealth of information with rich content from Spurgeon on this International Spurgeon Website. Charles Haddon Spurgeon (19 June 1834– 31 January 1892) was an English Particular Baptist preacher. Spurgeon remains highly influential among Christians of various denominations, among whom he is known as the “Prince of Preachers”. He was a strong figure in the Reformed Baptist tradition, defending the Church in agreement with the 1689 London Baptist Confession of Faith understanding, and opposing the liberal and pragmatic theological tendencies in the Church of his day. He also famously denied being a Protestant, and held to the view of Baptist Successionism. Spurgeon was the pastor of the congregation of the New Park Street Chapel (later the Metropolitan Tabernacle) in London for 38 years. He was part of several controversies with the Baptist Union of Great Britain and later he left the denomination over doctrinal convictions. In 1867, he started a charity organisation which is now called Spurgeon’s and works globally. He also founded Spurgeon’s College, which was named after him posthumously. Spurgeon was a great author of many types of works including sermons, one autobiography, commentaries, books on prayer, devotionals, magazines, poetry, hymns, and more.Many sermons were transcribed as he spoke and were translated into many languages during his lifetime. Spurgeon produced powerful sermons of penetrating thought and precise exposition. His oratory skills held his listeners spellbound in the Metropolitan Tabernacle. Today many Christians hold his writings in exceptionally high regard among devotional literature.